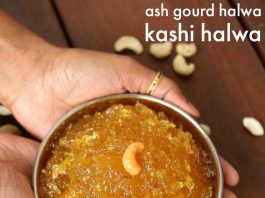 ash gourd halwa recipe | kashi halwa or kushmanda halwa | dumroot halwa with detailed photo and video recipe. a popular and a classic dessert recipe prepared from ash gourd vegetable and sugar. it hails from the popular udupi cuisine and is generally a premium sweet recipe prepared for feasts and occasions. most commonly it served during the lunch feast, or for breakfast as an alternative to kesari bath. 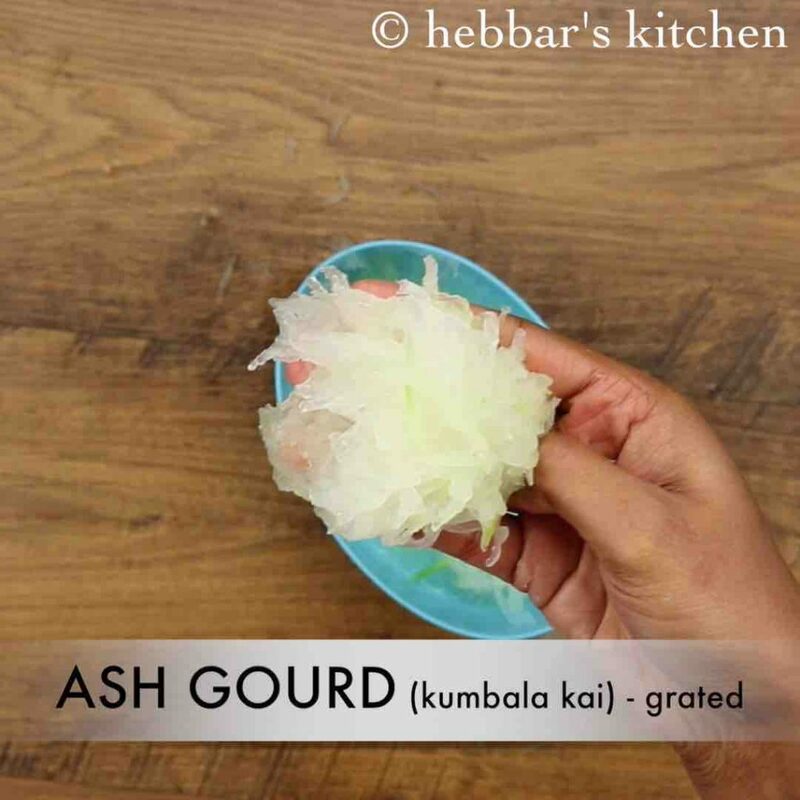 ash gourd halwa recipe | kashi halwa or kushmanda halwa | dumroot halwa with step by step photo and video recipe. udupi cuisine or udupi hotels are generally popular for its savory snacks and morning breakfast recipes. it is clearly visible in most of the udupi hotels which is popular across all over india. 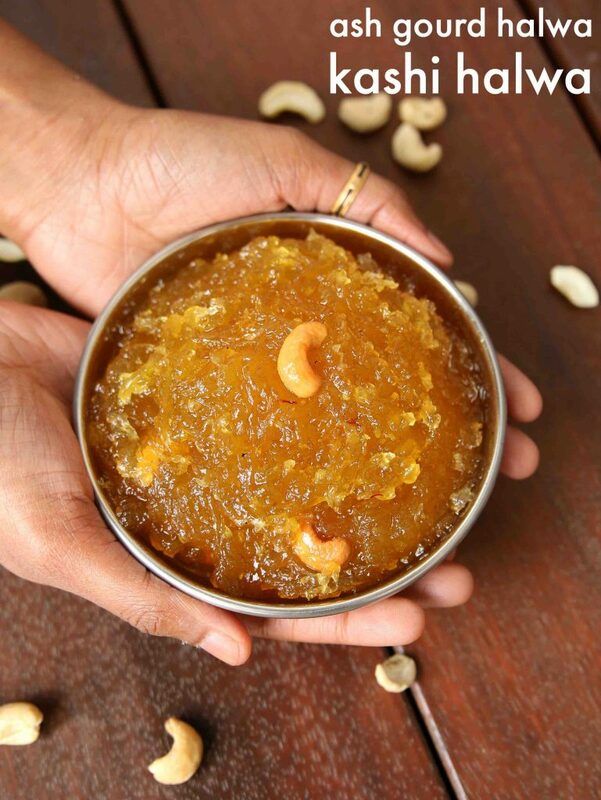 but there are certain sweets recipes native to udupi and one such sweet is kashi halwa. i have personal attachment and a long history to this udupi dessert delicacy. 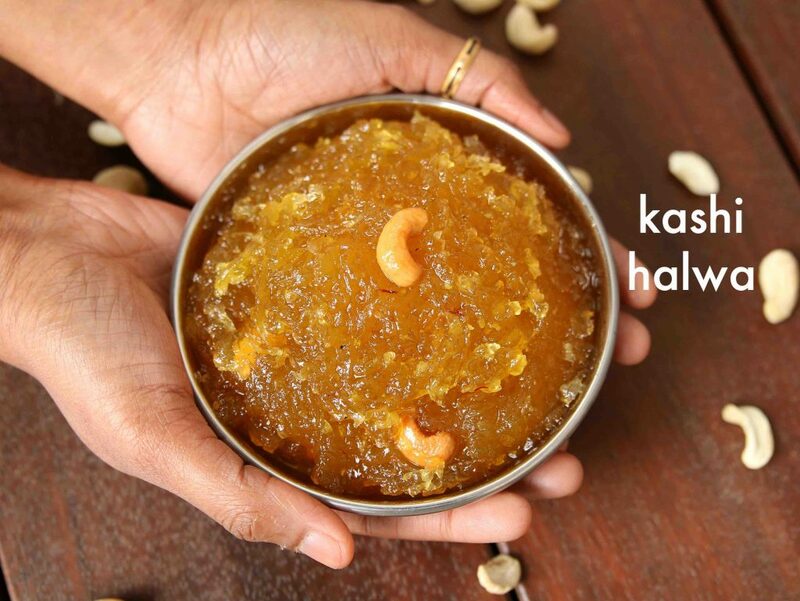 kashi halwa or kushmanda halwa is my personal favourite recipe and it is one of the must recipe for our family feast and functions. as matter of fact it was one of the premium sweet recipe prepared in my marriage too. the best part of this sweet is the grated ash gourd pearls which turns caramelized and burst in your mouth when consumed. moreover ash gourd halwa last long for a while when stored in fridge and can be easily relished regularly in small portions. in my hometown, you can easily find many colored dumroot halwa recipe which is basically prepared with choice of artificial colors. but i have used the natural color of kesar in this recipe which give it a light saffron color. 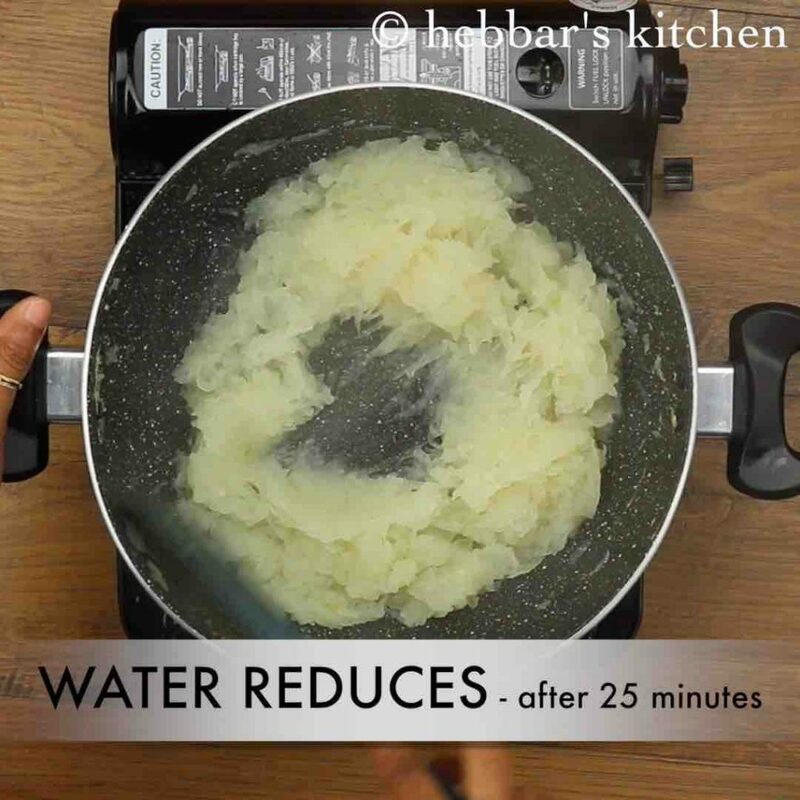 furthermore, i would like to highlight some tips and tricks for this ash gourd halwa recipe. firstly, the recipe can be a time consuming to prepare, especially the continuous stirring part. 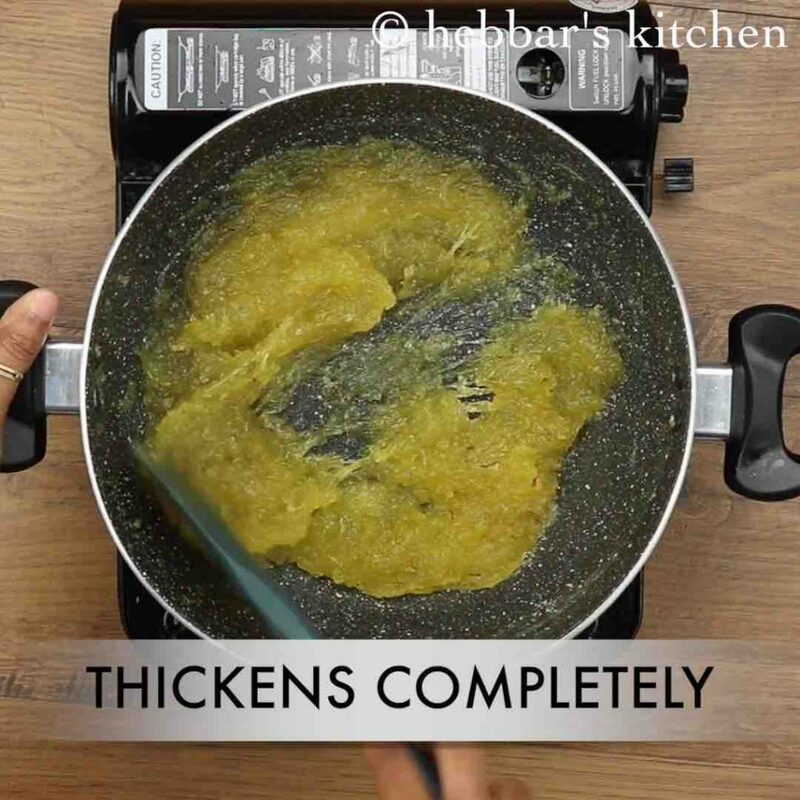 but keep patience and stir at regular interval for a crunchy, caramelized kashi halwa. secondly, i would heavily recommend to grate ash gourd and do not use food processor to grate it. with food processor it may turn into a paste and you may not get crunchy and caramelized effect. 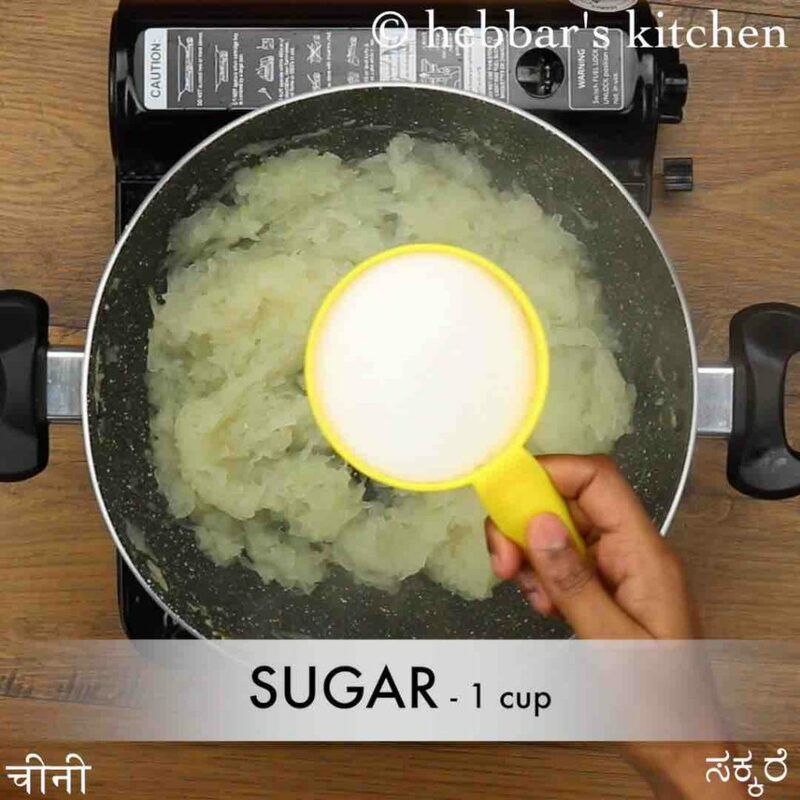 lastly, as a variation, you can serve these warm halwa with the combination of a vanilla scoop. basically very similar to the carrot halwa and vanilla ice cream or gulab jamun and vanilla ice cream combo. 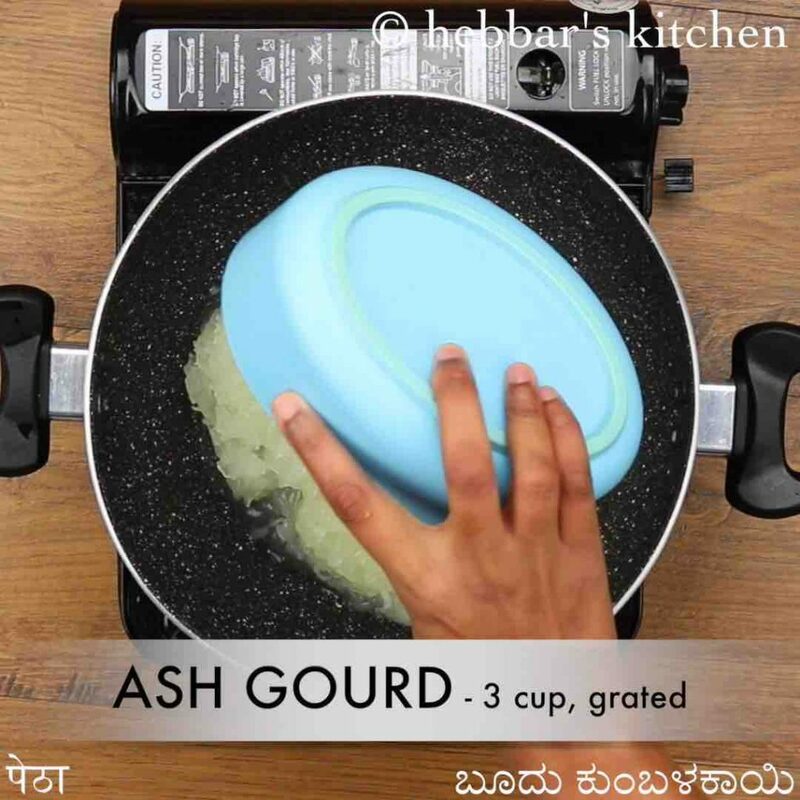 firstly, grate 3 cups of ash gourd making sure to discard the skin. take the grated ash gourd into large kadai along with juice released from ash gourd. cook for 25-30 minutes or till the ash gourd is cooked completely and water is absorbed. now add 1 cup sugar and ¼ tsp saffron. adjust sugar to your sweetness. 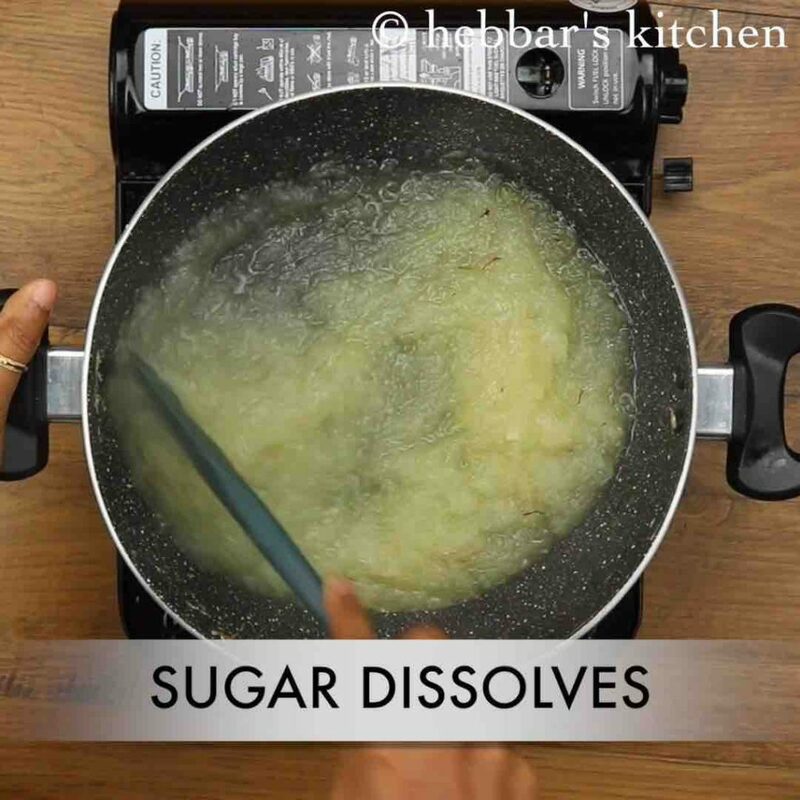 mix well till the sugar dissolves completely. boil for 5 minutes or more till the sugar syrup thickens. simmer for 10 minutes or more till the sugar syrup is absorbed completely. 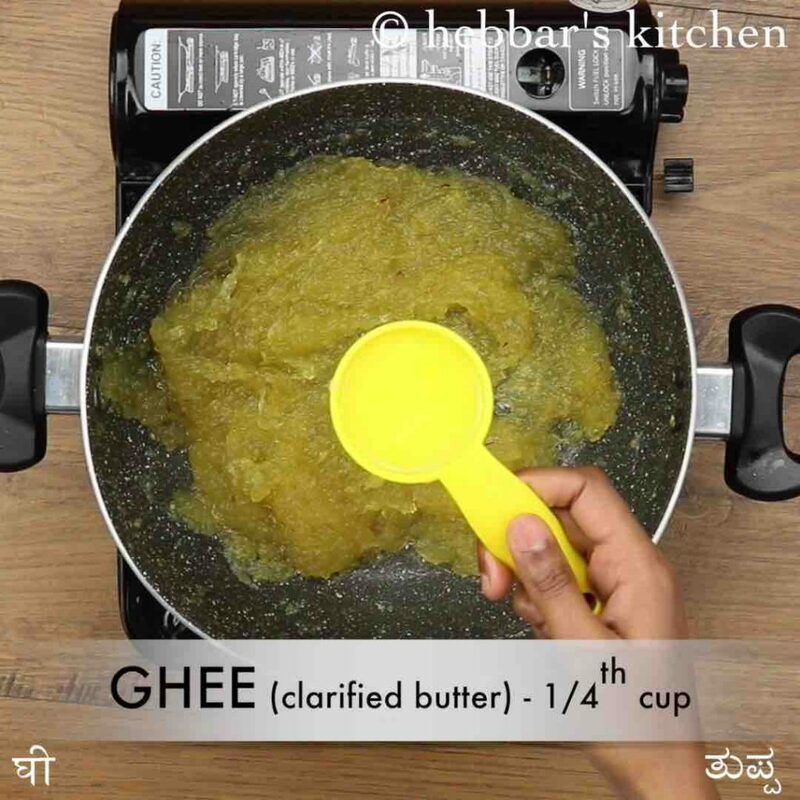 further, add ¼ cup ghee and mix well. 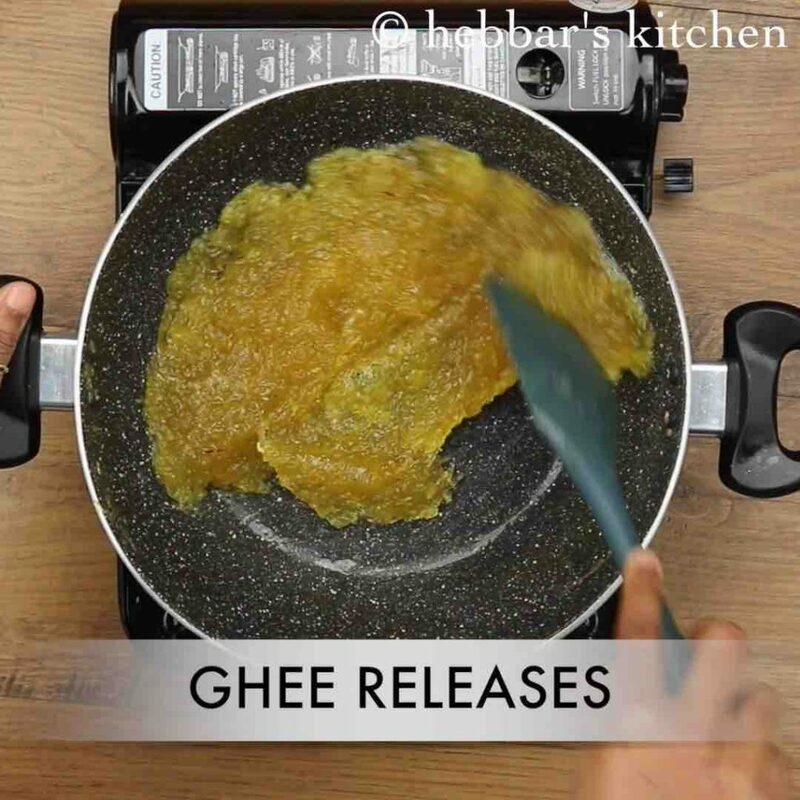 mix till the ghee starts to release from sides. 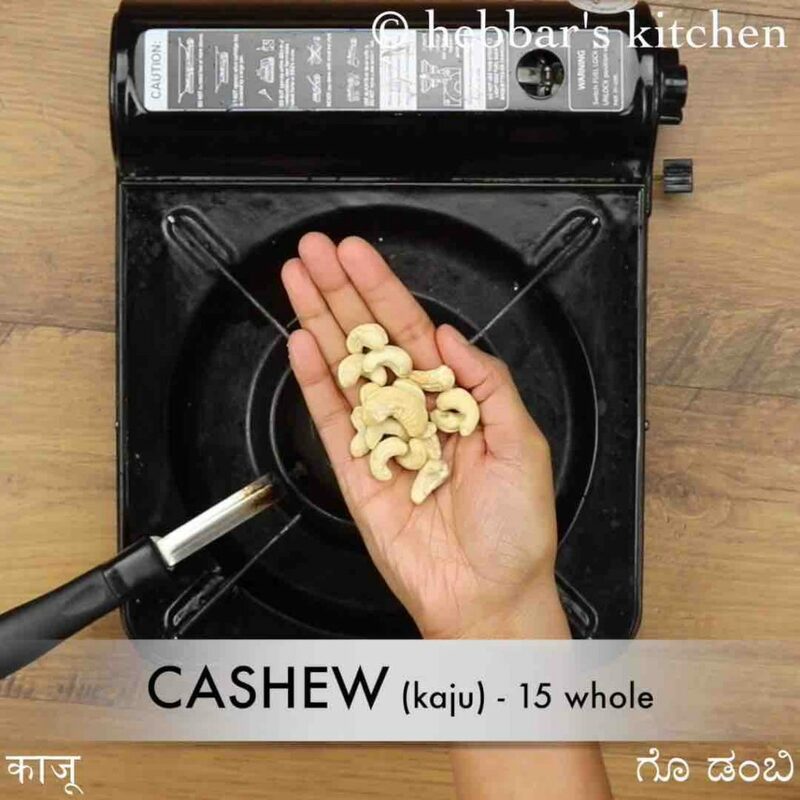 now fry 15 cashews with a tsp of ghee till they turn golden brown. 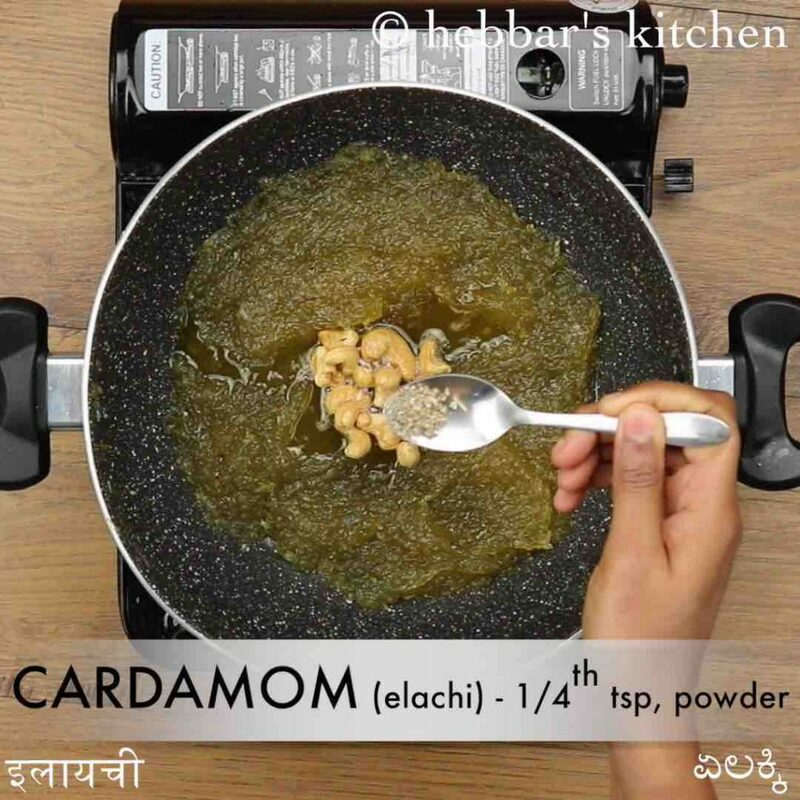 pour the fried cashews over khushbanda halwa along with¼ tsp cardamom powder and mix well. finally, mix and serve kashi halwa / ash gourd halwa hot or refrigerate and enjoy for a week. 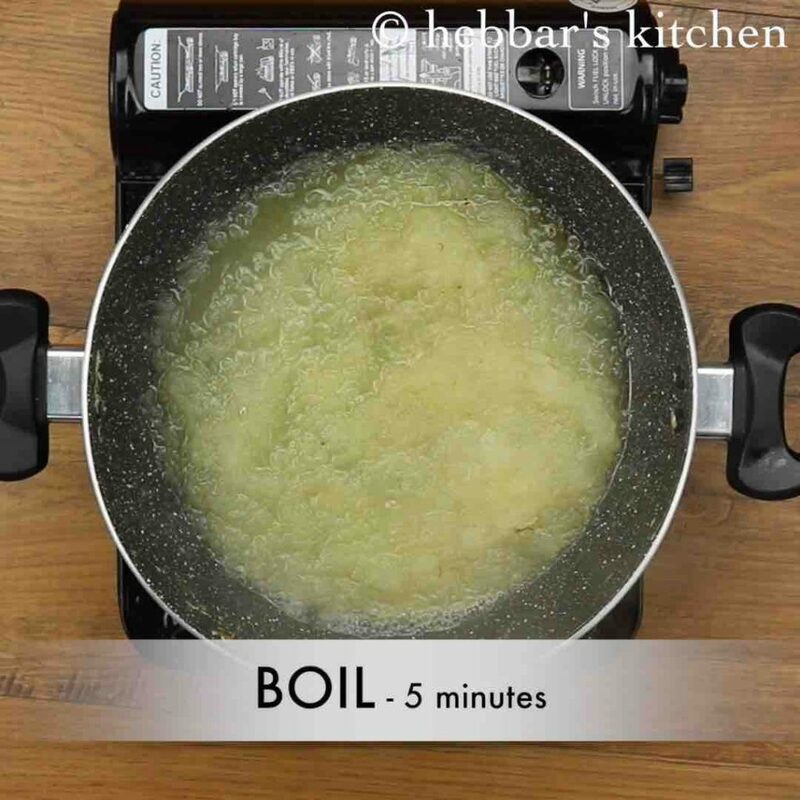 firstly, cook the halwa on low to medium flame to avoid burning. also, add sugar only after water is completely dried out from ash gourd. additionally, stir well for uniform cooking and prevent from burning. finally, kashi halwa / ash gourd halwa recipe tastes great when served warm.